Category: Baskets. 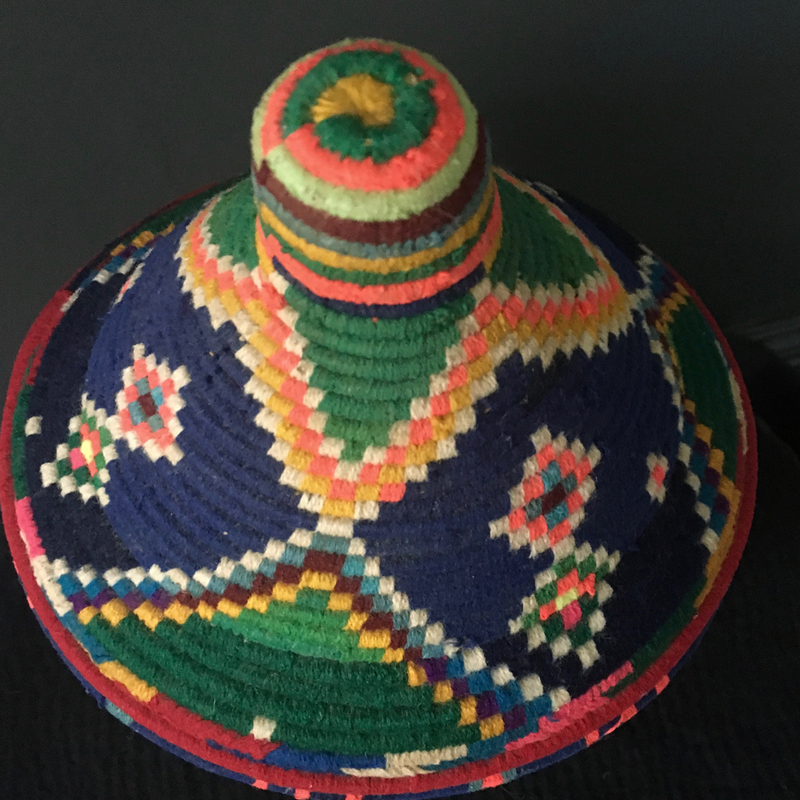 Tags: basket, Berber basket, handcrafted, Morocco, one of a kind, traditional handicraft, vintage Berber basket. 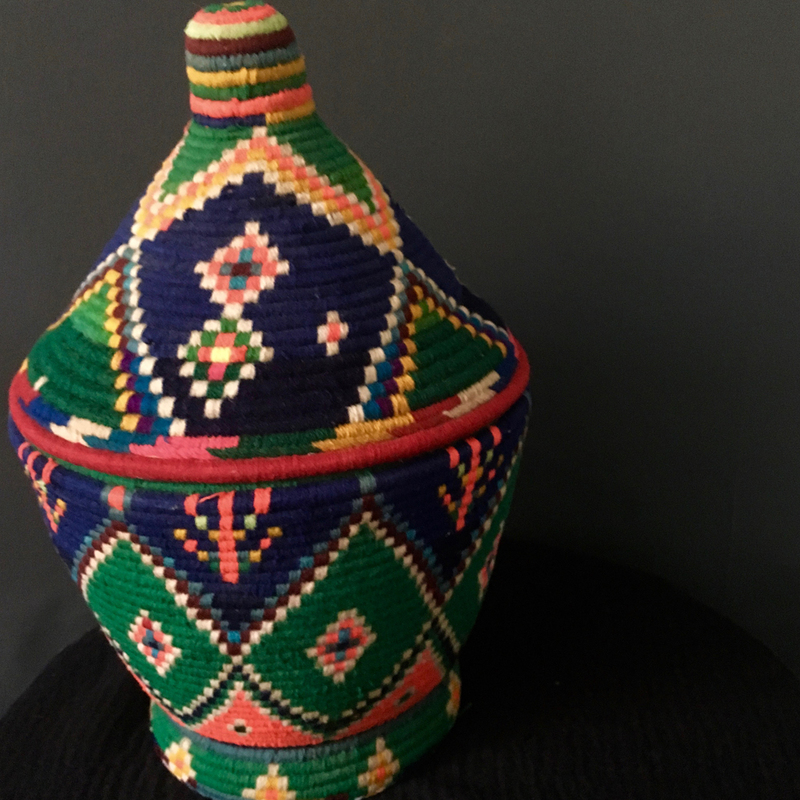 This is a really special vintage Berber basket in a vibrant geometric design. These baskets were originally used to store traditional Moroccan flatbreads or Khobz which are eaten with every meal. 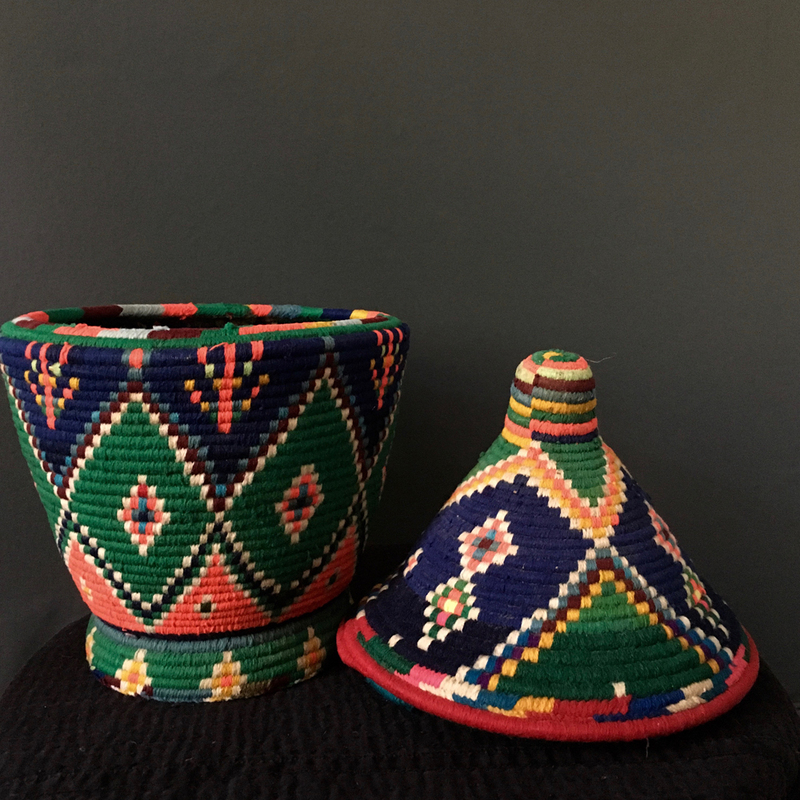 The colours and patterns on each basket are created by the artisan so no two baskets are alike. Scroll over the image to see the pattern in more detail. The basket is hand-woven from reed which is wrapped in brightly coloured wool. It’s perfect for storing clutter and brings a contemporary global touch to a room. Due to the artisanal nature of this Berber basket there may be the odd imperfection but we think this adds to its charm.